Goddess had very similar looks as Isis. Maat had long black hair; she usually wore a golden crown on her head. Two ostrich feather extended from her headdress, they were a symbol of her honor and prestige. Sometimes she would hold items of stature, and she was occasionally seen with a scepter. She had very small ears, and an expressionless face. In most of her pictures she had wings, like Isis. Her wings were more like hawk wings, instead of a falcons wings. She wore an elegant white robe. She was not seen with much jewelry on. She was depicted kneeling or sitting on her heels. Maat or Ma'at refers to the ancient Egyptian concepts of truth, balance, order, harmony, law, morality, and justice. She was said to be the heart of all that died. It was close to your heart that she would judge you, to determine your direction of passage. When Ra first created life she was put in charge of regulating the chaos, often in charge of keeping the stars inline. She had the task of keeping the universe from returning to chaos. She was often associated with the Pharaoh’s, because it was both of their duties to keep the world truthful and just. The dead had to get Maat’s approval after they died to pass on to the afterlife. 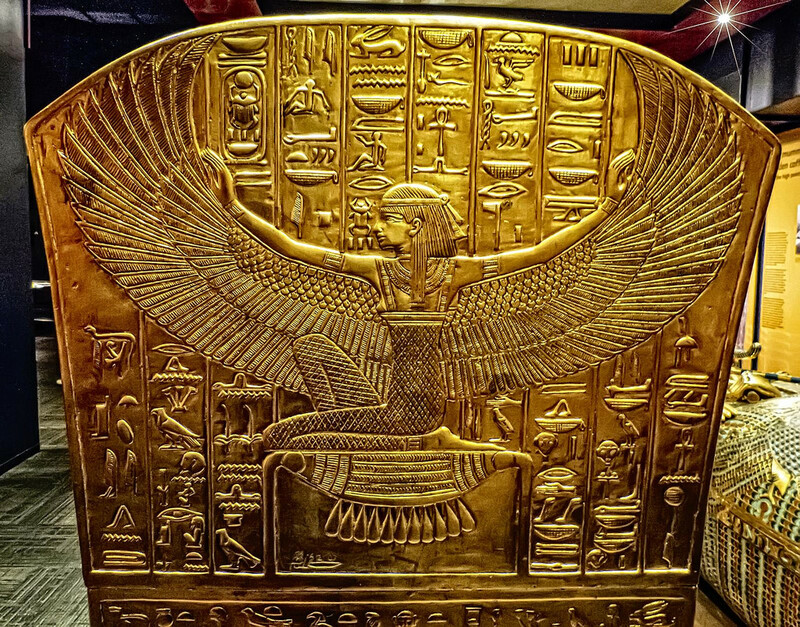 Maat was the concept of right and wrong, if you committed a wrong you would be sat in front of her to confess your sins. She was a seeker of truth. Her ideals still hold true today in our court systems. She was called the judge of all godly decisions. During the judgment of life, Maat was shown as two identical gods, sitting on either side of Anubis. All gods loved nourishment, truth, and justice. Above all other offerings they wanted these three items. In the ritual of the cult, it was the offering of Maat which genuinely pleased the gods more than any other items. In temples we see picture, after picture, of kings being offered miniature images of Maat. The kings were more please with these gifts than any amount of treasure. She was thought to be a son of Ra. She also had a husband Thoth. She formed part of the entourage of Osiris. However, all beings were a son of Ra. Some believe that she was formed at the creation of the universe. In this instance she would not have a father or son.